Nothing makes me go ‘ahhHHH‘ quite so much during a long hike or a grueling bike ride as the perfect pair of socks. The right pair of socks can make or break you. And as far as I’m concerned, the right pair is a pair of merino wool socks. 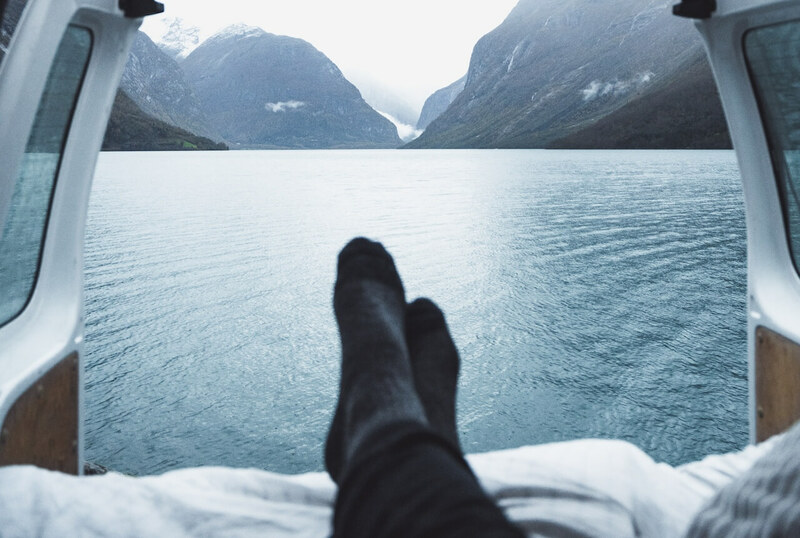 If you already agree to that statement, are already familiar with merino wool socks and just need to pick up the best pair of merino wool socks of 2018, in the table is the ones we have a love for years as they are the best socks for everyday life and most activities. 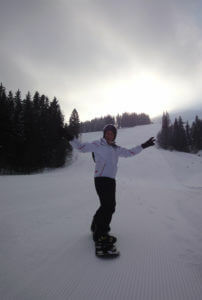 Below you will find other recommendations for more specialised activities or fit. And if you feel like you need to dig a bit more before to commit and need a bit more guidance to help you choose the right pair for you, have a closer look to our FAQ section just below. What Tom says: I’ve worn a pair of these weekly for four years before I finally retired them. Incredibly durable. They work well with dress shoes or sport shoes due to the light cushioning. What Caro says: Like a lot of people, I own a pair of those, for a long time and they are the ones I used the most all year around. They are your perfect casual pair, that will work for most activities in most seasons. Which pair you should buy? Fabric: Blends or 100% wool? You might need a little time to get over the initial sticker shock the cost of merino wool socks. But once you do, it’s just possible that you’ll never go back to cotton socks again. 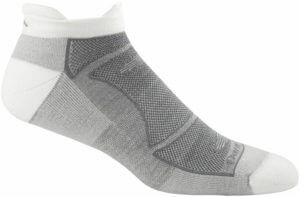 Merino wool socks have the ability to wick away moisture from your feet. Combine that with their antibacterial properties, and you’ll cut down on stinky socks. Also, merino wool retains warmth even when wet and they don’t feel as sticky when wet. That’s perfect whether you’re hiking, cycling to work or cycling around the world. Survivalist types like to keep merino socks around in case the world takes a step back to the stone ages. It might sound slightly weird. Shucks, it may BE weird, but people get kinda of addicted to merino wool clothing! First, you need to think if you have a specific activity to help you decide. This is so important that this is why we classify our selection as such. The activity and the season will help you decide on the socks length, the fabric weight and the level of cushioning required. What we have also noticed is that when the knit is tighter, it takes a little longer for the socks to dry. But we think the durability that comes with it is worth the couple of extra hours to wait. Over-the-calf and knee high are used for winter sports, everyday winter boots or for as compression socks for runners. Crew or midcalf height socks are good for everyday wear, especially if you are wearing chelsea boots or Doc Martens like us in the winter. 1/4 socks lend just a bit above the ankle. They work great for summer trekking in trail runner shoes, and that is pretty much it. Ankle socks are great to wear with shorts. I typically wear these type of socks to work out. No show socks are the only one that would be invisible with low height shoes which is great for daily wear in the summer time, like with dresses for example. They tend however to slide in, so they aren’t always the most comfortable. There are just best as a fashion accessory. Typically, you’ll find that most socks are a blend of merino wool with nylon and Spandex/Lycra/elastane. The reason is that merino by itself is often not as strong as cotton. By blending merino with other fabrics, you can get a more durable sock while keeping the positive characteristics of merino. A higher percentage of merino wool in the blend isn’t necessarily a sign of quality. Darn Tough socks – some of the strongest I’ve ever used – have a lower percentage of merino wool, but make up for it with durability. However, we’ve found that a higher percentage of Merino wool does mean that they feel softer to wear. How important is weight or cushioning? Wool usually come in a few different weight options: ultralight, light, medium and heavy. The heaviest ones are suitable for colder weather or heavy tracking as they come with more cushioning, while the lighter the weight, the more breathable they are offering only a minimal padding. Again, refer to the activity you have in mind to help you choose a pair that fits your needs. 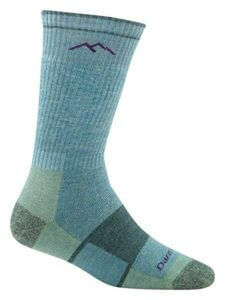 Some of the big players in the industry are SmartWool, Icebreaker and, our personal favorite, Darn Tough socks. Most merino wool socks will be around $20. There are a few options to buy them in bulk at a little less. You will find them in our selection under the budget pick. You can also find merino wool socks at Costco. They offer good quality and unbeatable prices as low as $11.99 for 4 pairs. Sierra Trading Post and REI outlets for discounts. 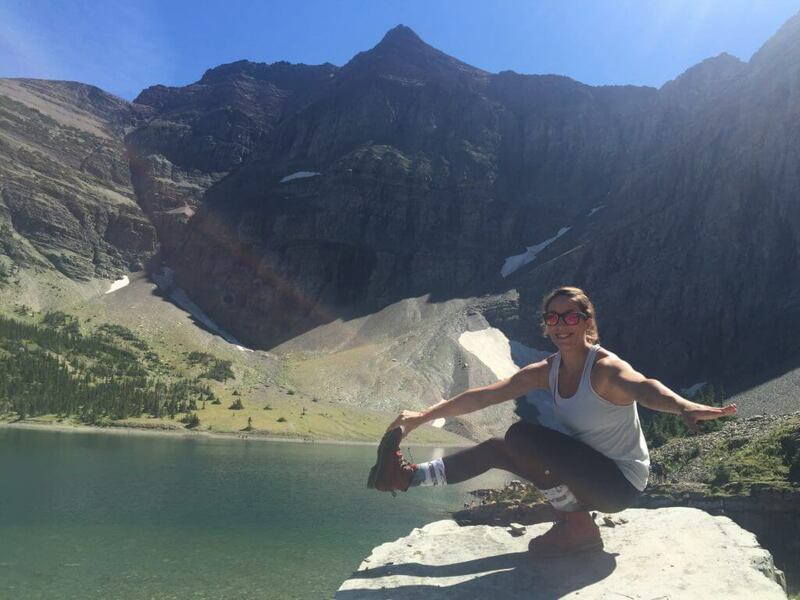 Merino wool socks are highly recommended for hiking and the general outdoor community. But why shouldn’t our daily pieces of clothing have the same high quality standards than outdoor activities? For this reason, merino wool has been rather popular along long-term travellers: normal people who just want reliable casual wear. We have tried a LOT of “normal merino wool socks”! Here are the ones we recommend. At the bottom of the article, you can find other options we have tried over the years but did not buy again and why. Nonetheless, socks you want to wear everyday need to be lightweight so it can work all year around. A too high weight wool fabric would be too warm during summer. We don’t want any extra cushion as it needs to fit our usual shoes. 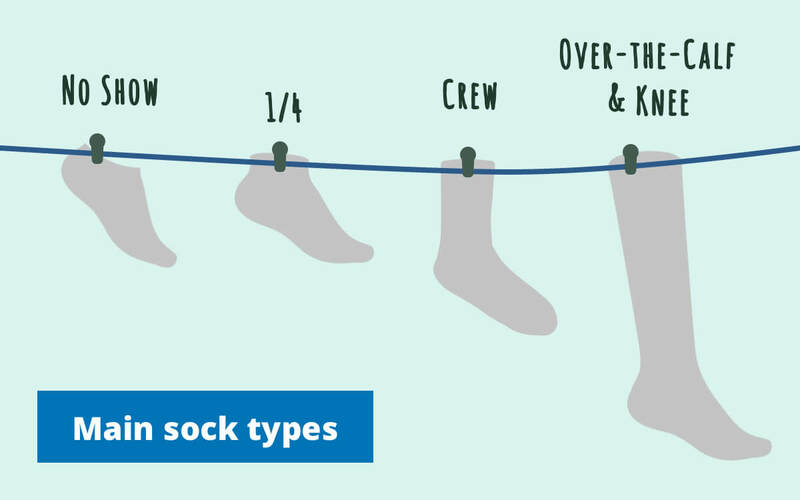 While the height should be somewhere between above your ankle up to the mid-calf, you might want to think if you prefer a usual crew height or a “no show” sock depending of your personal preferences or if you are gonna wear it with ankle height shoes or with boots. Drawbacks: The merino is a little coarser than other merino socks. These socks are crew socks, so they come to mid-calf length. They have a thin layer of cushioning, so you’ll find that they work well with dress shoes or sport sessions. I’ve worn a pair of these weekly for four years before I finally retired them. They are your perfect casual pair, that will work for most activities in most seasons. Advantages: incredibly durable, works well for everyday shoes, all purpose seasons and activities. Like a lot of people, I own a pair of those, for a long time and they are the ones I used the most all year around. They fit tight to prevent blisters. The height works great for my Doc Martens in Winter. However, while I love their colorful stripes, I wish I could get a second pair in a plain simple black or with dots like these cute ones but higher up so I could wear them with ankle shoes too. I have a previous version of this pair that I wear during Spring and Summer or while travelling with ankle height shoes. The new model has now additional front and back tabs which helps to put them on and keep them tight in place no matter what. It is an improvement for sure, even though I feel it loses a little bit in terms of fashion style when worn with street ankle shoes. I bought them in 2015 to tell you how incredibly durable Darn Tough socks are. Those have no cushioning at all, which is what I like to wear in normal shoes as well as in my training shoes during my weightlifting training. However if you need a pair of No Show socks for running or higher impact training, keep scrolling under our Working Out and Exercise Merino Wool Socks section below. Good hiking socks go high over the calf and have a certain amount of cushioning. 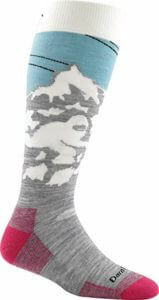 Although, if you wear trail runners and hike in warmer condition, the 1/4 sock height might suits you better. In any case, you need to make sure they fit well to avoid blisters. 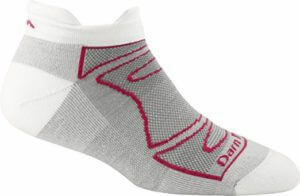 For women looking for a pair of premium quality hiking socks, Darn Tough is the #1 choice currently. The thick cushioning will keep your feet comfortable on long hikes or working on your feet all day long. 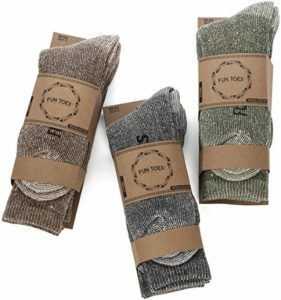 These 86% extra-fine merino wool socks will keep your toes very comfortable while going easy on your wallet. They are good for hiking or simply keeping your feet warm during Winter. One of the most popular merino wool socks, ever. 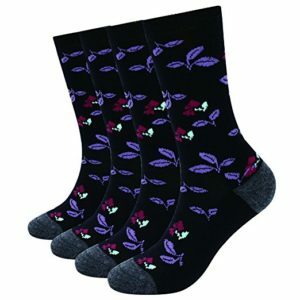 These socks are a great choice for long hikes, but also if you spend a lot of time on your feet. Someone wrote a review saying that these socks kept his feet in great shape despite walking 10 miles a day at his job. While not super thick, they are very warm, thanks to the 64% merino wool, which is quite high for a sock. Keep in mind that because these have very cushioned soles, they a little bulkier. Darn Tough and Smartwool can be pricey (although arguably good value for money). 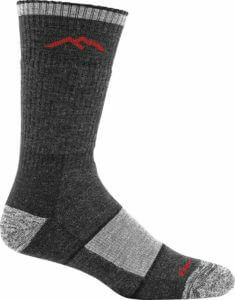 Therefore, if you’re looking for a budget option when it comes to merino wool socks for men, these fun toes offer remarkable value. Those are probably the most comfortable training socks you can find (I mean, there are 205 reviews on Amazon!!). Because I am so use to have flat sole training shoes without any cushioning for my CrossFit workouts, I basically only wear those with my running shoes for distances from 5+ km. If you have ankle high trail runners and plan on hiking in warmer condition, you can also use those. On the other hand, they don’t work great for me for yoga. I prefer to use the ultra light without extra padding that I recommend in the Every section at the top. 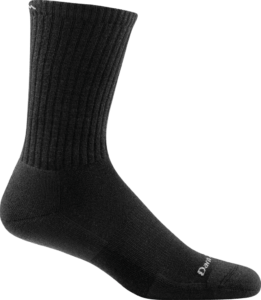 These are Darn Tough’s most popular athletic socks for men: there are 849 reviews on Amazon! While not cheap at $16 dollars a pop, Darn Tough also gives a 100% money back guarantee. The tabs help you put them on just a little faster and stay in place. They have a form-fitting fit, which is important so they stay perfectly in place while working out. The light padding and cushioning under the heel offers great support for running. On the other hand, if you are big into weightlifting, you might consider the Darn Tough Vermont Men’s Vertex Tab No Show Ultra-Light which don’t have any added padding. The Smartwool below are great too. No-show socks are perfect for running or working out. 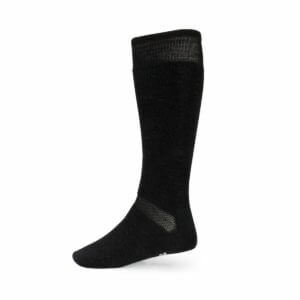 These SmartWool pair work very well as a pair of travel socks, and testers found that they fit exceptionally well. We use to train in Five Fingers! And because the synthetic tend to be smelly, we solve it by wearing Merino wool socks. 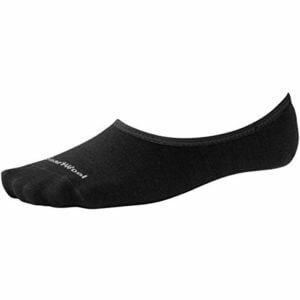 Tom tried the Run Lightweight No-Show – NuWool from Injinji while I tried the Smartwool Women’s Toe Sock Mini. 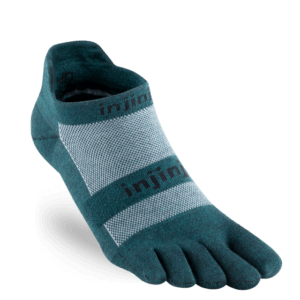 The Smartwool were probably of better quality when comparing the rubbing at the heel, however the wool of the Injinji was thinner and that little bit less of bulk resulted in a overall much more comfort especially in the toe boxes! The NuWool Injini are meant to be unisex. They provide a size chart conversion on their website. 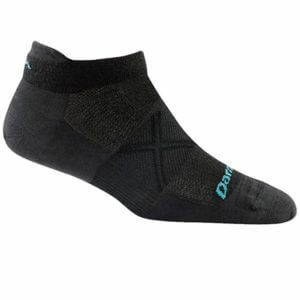 The The Darn Tough Vermont Women’s 1/4 Merino Wool Ultra-Light Athletic Socks are very good socks overall. High quality and highly durable. Unfortunately, I found the ¼ height size is rather inconvenient for me as it is too low for my Doc Martens and too high to go with ankle height shoes. I find ¼ height size only works for summer trekking in trail runner shoes which is not my case, but then would probably go for something with a little bit more cushioning such as the Darn Tough Vermont Women’s 1/4 Cushion Socks. Casual socks in merino wool have been the type we have tried which got the most of hit and missed. 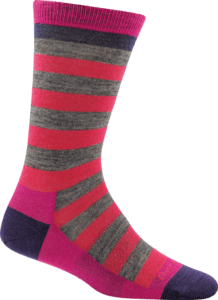 The Darn Tough Women’s Merino Wool Mini Stripe Shorty Light Cushion Lifestyle Socks were part of them. Got holes in them which seems very unusual of my experience with Darn Tough Vermont socks. The thin straps are very cute though. 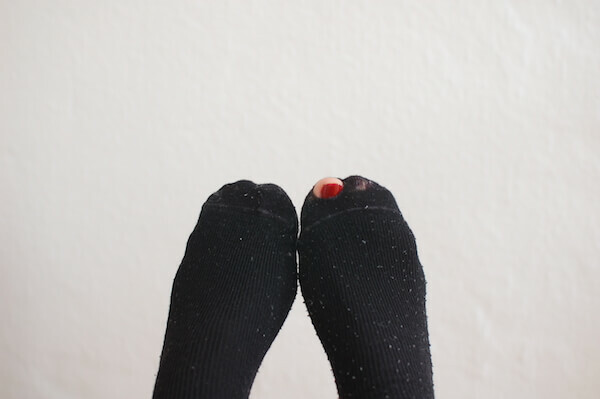 I got the same issue with my pair of Janus Wool Socks (see picture above) even though I would really love to find a pair of simple black socks made in merino wool for everyday wear. All the Icebreaker men socks I tried I found were to feel quite coarse and quickly got holes. Finally, we also tried the Ribbed Sock from Finisterre as it is one of our favorite brand for casual wear in merino wool but I found that they didn’t keep my feet warm and dry and they didn’t last very longer, either. Do you have any recommendations? I’d love to hear them in the comments! I’m going to make a trail in the desert, 100K. I’m looking for a legging ultralight in merino. For the desert, I’d go with lightweight. (For colder temps, there is midweight or heavyweight which signifies the thickness of material). I live in Florida, and had to find leggings that breathed well and wicked moisture. The lack of odor is what drew me to Merino wool because my undergarments get smelly quick here in Florida. I’ve been happy with my light weight Merino Wool leggings from icebreaker. I wait for out of season sales and buy them then. Woolx is cheaper than Icebreaker and appears to be good quality as well. Leggings are available on amazon or on their actual company sites.